The first wave of acts have been announced for next year's The Acoustic Festival of Britain.  This the 11th year of the festival sees it moving to June and will take place over the spring bank half term holiday from Friday 3rd to Sunday 5th June at Uttoxeter Racecourse, in Staffordshire. The first names announced are The Blockheads, Nell Bryden, King King, T.Rextasy, BabaJack, and Tony Wright (Terrorvision). There's a limited of early bird tickets left on sale priced at £85 for the weekend with camping an additional £15. There is also an option to pay in 4 monthly payments. Children aged 10-15 years old at the time of the festival will need a child's ticket priced at £20 for the weekend with camping. A ticket for kids under 10 yrs old (and not still in arms) is priced at £1 for the weekend with camping. A Thursday arrival and camping ticket is an additional £5, a family weekend with camping ticket (includes 2 x Adults & 2 x Children with Camping from Thur. 2pm & entry to the main arena & all stages from Thursday Evening and all day Fri. Sat and Sunday) is priced at £210. Early Bird tickets can be bought until the new year with the option to pay in instalments (Offer Ends Dec 31st). Pay the deposit now and then pay off the balance in 4 further payments.